“I have wanted to be a doctor since I was young,” says George Novan M.D., an infectious diseases physician and Associate Dean for Graduate Medical Education at the Elson S. Floyd College of Medicine. But even long-held aspirations come with surprises, and challenges. In his second year of medical school, Dr. Novan had an experience that surprised him, challenged his expectations, and taught him a lesson that’s stayed with him throughout his career. “In my school, we had a course entitled ‘Death and Dying,’ Dr. Novan says. “As part of the course, each student was assigned a patient who was dying and had agreed to discuss what they were going through with a medical student. The path to becoming a practicing physician requires dedication and a significant investment of time and resources. It demands a deep love for learning in general, and intellectual curiosity about medicine in particular. And, as Dr. Novan learned early on, while physicians are trained to treat and cure patients, they also must learn to provide quality comfort and care to patients and families when treatment is no longer working. The foundational science phases of medical school provide a solid base and common understanding upon which future classwork and experiental learning will build. Coursework on anatomy, chemistry and math prepares students for the intellectual and emotional rigors to come, and builds a network of bonds as classmates and future colleagues begin to work together. Intensive orientation courses assist students with assimilation into medical school. Clinical education is integrated into the foundational sciences curriculum, offering future physicians insights into how their coursework translates into real-life situations. In August, Washington State University’s Elson S. Floyd College of Medicine will debut its medical education program, which leads to a Doctor of Medicine (M.D.) degree. The program will welcome 60 students to its charter class. Starting in their first year, medical students will learn in classrooms and labs, as well as hospitals and clinics. In many areas, local hospitals and clinics are understaffed, and the connection between them and the medical college can be a lifeline. Dr. Radha Nandagopal is a member of the clinical faculty of the Elson S. Floyd College of Medicine. She also chairs the College’s Admissions Committee. “We are looking for those students who are committed to the state of Washington, committed to the idea of rural and underserved medicine,” Dr. Nandagopal says. By the third and fourth years, medical students are gaining hands-on experience in hospitals and clinics near their campus locations. Students become part of professional teams in community clinics and hospitals. They build relationships with faculty, colleagues, mentors, patients, and communities. Small cohorts encourage team-based learning. “As part of their clinical education, students will learn clinical reasoning – how to proceed step by step through a reasoning process to arrive at a diagnosis. By the time students enter their third year of clinical clerkships, students will be able to advance diagnostic ideas and participate in patient care based on the knowledge and experience they have been receiving since their first year,” says Dr. Nandagopol. Dr. Novan recalls the experience that made him feel like a doctor for the first time. In his fourth year of medical school, he was treating a patient suffering from cirrhosis. The patient needed to have fluid buildup siphoned from his abdominal cavity on a regular basis. “He had experienced the drainage so many times that the assumption always had been that the only thing needed was to remove the fluid and not order unnecessary tests,” Dr. Novan says. But I had been taught well to be thorough in reviewing a patient’s medical records. I took my clinical rotations and of course, patient care very seriously as a fourth-year student. “I spent considerable time reading through his records. I was never able to find a time when that fluid had been sent to the microbiology lab for cultures. When I completed the procedure, I included ordering cultures for a variety of organisms. The cultures returned positive revealing that in addition to cirrhosis he had tuberculosis involving the lining of his abdominal cavity. This lead to needed new treatment. 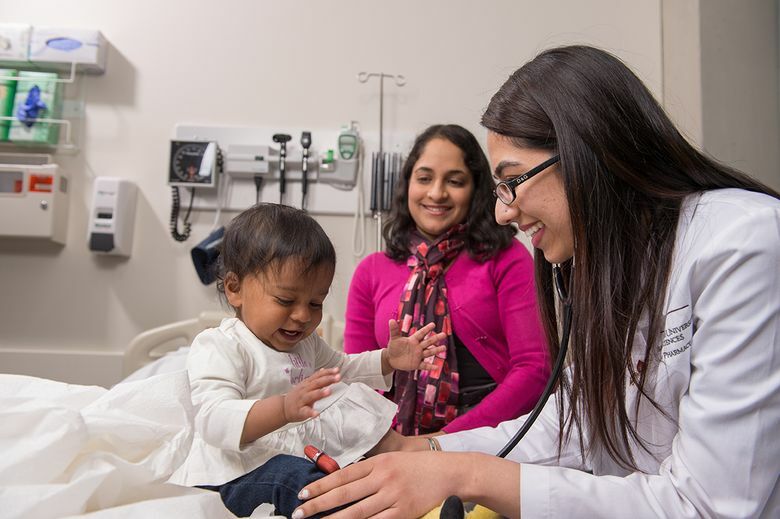 Students at the Elson S. Floyd College of Medicine take the Art and Practice of Medicine that addresses not only what students know, but what they will do as a medical professional, including helping students build empathy for the patients they will serve. Many of the communities in which students at schools like the Elson S. Floyd College of Medicine will train are facing critical physician shortages. When the students’ education is complete, they will be ready to address the needs of these medically underserved communities. Elson S. Floyd College of Medicine not only trains physicians to meet the needs of today’s patients, but to anticipate changes in the delivery of health care that includes wellness, as well as treating diseases. It equips graduates to thrive in a rapidly evolving health care environment and gives them the technical, behavioral and leadership skills necessary to obtain exceptional results in the state’s most challenging healthcare environments. “The College’s learning, training, and clinical environments will inspire our students to be leaders in their communities and in the health care field,” says Dr. Tomkowiak. Washington State University has delivered advanced education for more than 125 years. Its new medical school leverages that experience to achieve new milestones in medical research, innovation, interprofessional education and patient-centered care. Find out more at medicine.wsu.edu.